The Miami Heat’s slick Vice-night court was tinged with far more virtue than vice in their first game after Veterans Day. The Heat honored Heat Check Gaming manager Derric Franklin, a US Army veteran who served in Operation Iraqi Freedon and Operation Enduring Freedom. Franklin served for eight years and two deployments, rising to the rank of sergeant after joining the Army in 2008. Franklin—known in the NBA 2K community as YouFamousEnough—led Heat Check Gaming, the sixth seed, to the inaugural NBA 2K League finals, losing in two games to Knicks Gaming. Heat President Pat Riley surprised Franklin by presenting him with a challenge coin. In a video released earlier in the day, Franklin discussed implementing the military tradition of challenge coins, giving one to each inaugural Heat Check Gaming player. The Heat also surprised Franklin by bringing his mother and stepfather, flown in from Houston for the game, onto the court during the presentation. Since 2006, the Miami HEAT have recognized military members before every home game as part of our Home Strong program. Tonight’s Home Strong Honoree was Derric. As you know, Derric joined the United States Army in 2008 and served for eight years while being deployed twice in support of Operation Iraqi Freedom and Operation Enduring Freedom. Derric recently implemented the military concept of handing out a challenge coin to each of his players as a means of establishing a commitment to his squad. 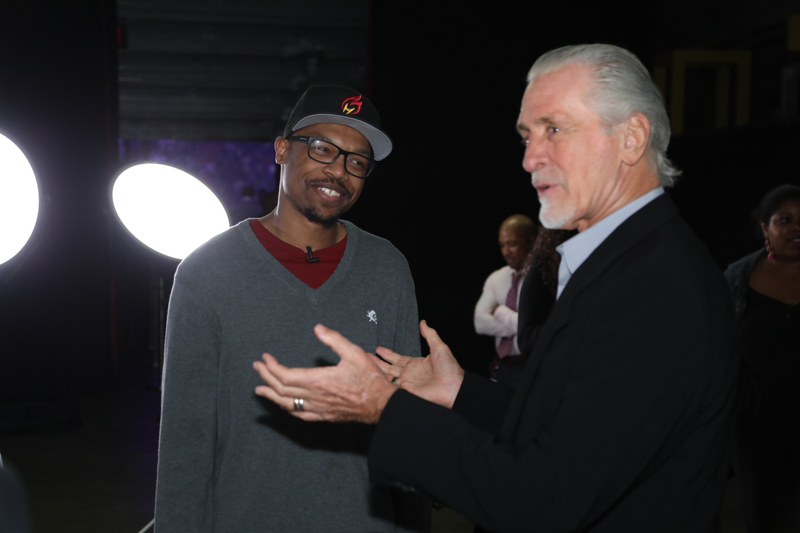 Tonight, Pat Riley surprised Derric in the pregame by presenting him with a challenge coin. As he was being honored, we surprised Derric with his mother and step father in from Houston to surprise him on the court.